How long have you been using your facial cleanser? I bet I've been using mine longer than you've been using yours. Keep reading to see. 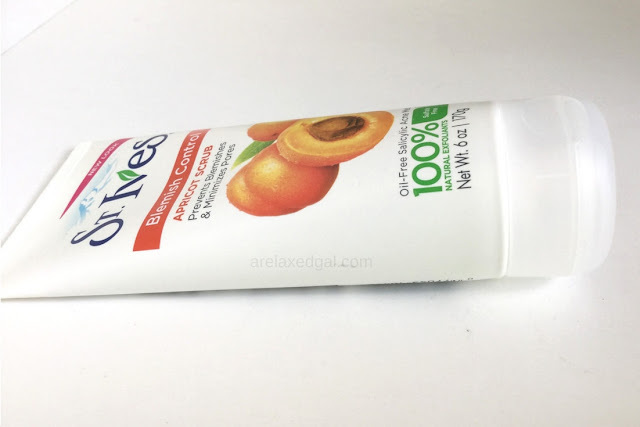 I've been using St. Ives Blemish Control Apricot Scrub for over a decade now. I started using it in high school when I had some acne issues and have continued using it ever since. I used it during a period of adult acne right after college graduation and continue using it now even though I haven't had acne issues in years. So why have I been using the St. Ives Blemish Control Apricot Scrub for so long? Because I really love it! After using it my skin always feels smooth after using and not dried out. I don't use it every day, just every other day which is probably why I don't get that dried out feeling you may see some other reviewers talk about. I paid $3.54 for a 6 oz tube. The St. Ives Blemish Control Apricot Scrub can sometimes be found for a little less online. "America's #1 Scrub brand (Based on 52 week unit sales ending 04/11/2015), this scrub with 2% salicylic acid gently cleans pores and helps stop breakouts before they occur." Active Ingredients: "Salicylic acid (2%)"
Inactive Ingredients: "Water, Juglans Regia (Walnut) Shell Powder, Glyceryl Stearate SE, Propylene Glycol,Sodium Laureth Sulfate, Zea Mays (Corn) Kernel Meal, Cocamidopropyl Betaine, Cetearyl Alcohol, Cetyl Alcohol, Triethanolamine,Glyceryl Stearate, PEG-100 Stearate, Prunus Armeniaca (Apricot) Fruit Extract, Cetyl Acetate, Carbomer, Polysorbate 60, Ceteareth-20, Acetylated Lanolin Alcohol, PPG-2 Methyl Ether, Phenethyl Alcohol,Glycerin, Methylisothiazolinone,Fragrance, Titanium Dioxide"
"Moisten face with water. Dispense product onto fingertips and massage over face. Rinse with water. Avoid direct contact with eyes. In case of contact with eyes, flush thoroughly with water. For best results use 3 to 4 times per week." St. Ives Blemish Control Apricot Scrub is a keeper and I plan to keep it in my beauty regimen for years to come. 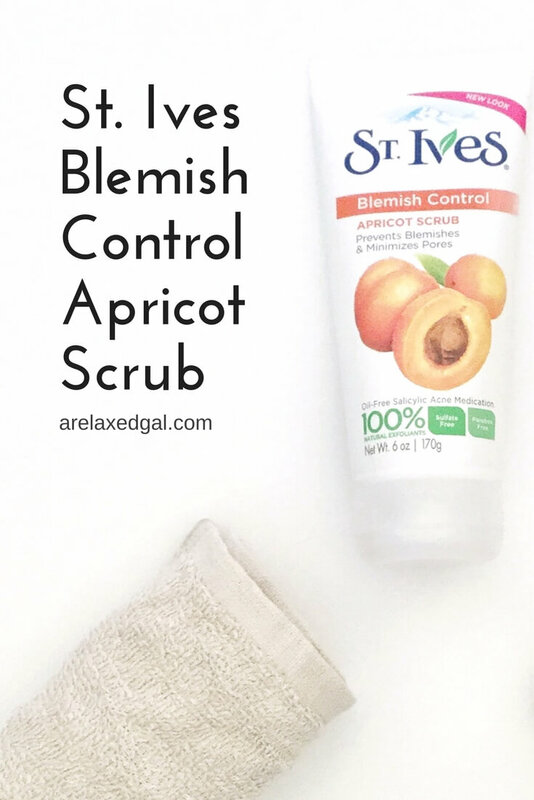 If you'd like to try the St. Ives Blemish Control Apricot Scrub for yourself, you can purchase it here on Amazon. What's your favorite facial scrub?